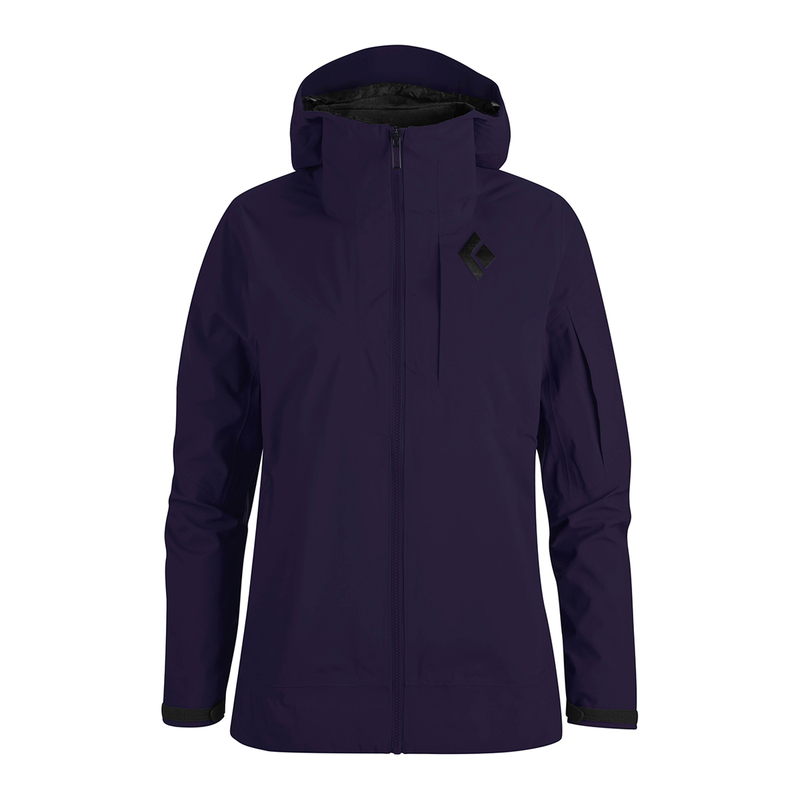 The Mission is Black Diamond's top-spec shell jacket for skiing and snowboarding. Made from three-layer waterproof and breathable Gore-Tex it’ll be just as at home on a cold day in-bounds as it will on a snowy backcountry hike. The articulated, women’s-specific fit is designed to comfortably fit layers underneath, while plenty of pockets mean you can keep your essentials close to hand. The ski helmet-compatible hood, snow skirt and moulded cuffs are designed to keep snow out when the conditions turn, while the Cohaesive system in the hem and hood means easy adjustments for better protection. PROTECTION Powder skirt and YKK front zip. Garments made with GORE-TEX® 3-layer fabric offer added durability without extra bulk. The reduced layers required mean less weight and more freedom of movement. DWR (durable water repellent) is a coating added to fabrics at the factory to make them water-resistant (or hydrophobic). Most factory-applied treatments are fluoropolymer based. Durable water repellents are commonly used in conjunction with waterproof breathable fabrics such as Gore-Tex to prevent the outer layer of fabric from becoming saturated with water. This saturation, called 'wetting out,' can reduce the garment's breathability (moisture transport through the breathable membrane) and let water through. The Black Diamond Cohaesive system uses a specially designed adhesive in combination with specially designed components to embed cord management systems and clever features directly into the fabric. 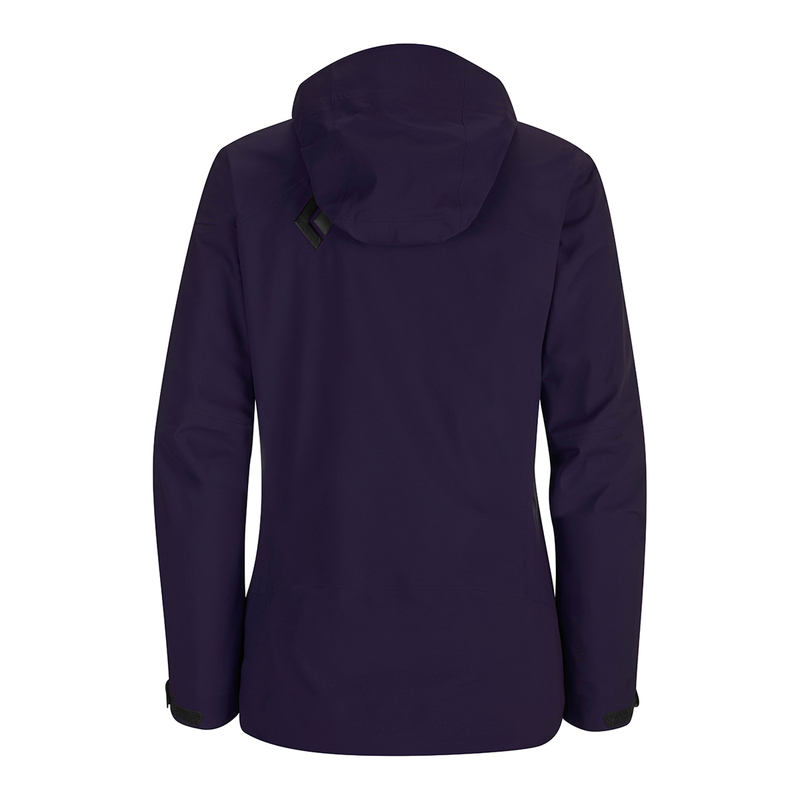 This reduces weight and keeps the outline of the jacket clean and stylish. Fixtures using the Cohaesive system are also often easy to use with just one hand. Black Diamond have spent years manufacturing climbing and safety hardware with no room for error in manufacture or functionality. They have applied this approach to their clothing range meaning that it has a 100% warranty guarantee. If you’re not totally satisfied with your Black Diamond product they will repair, replace or refund it - no questions asked!